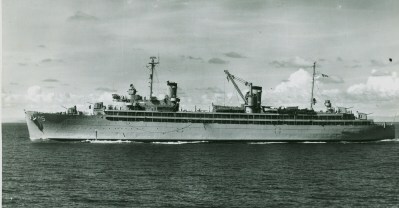 The Vulcans were modern purpose-build repair ships completed in 1941-1944. They were equipped with booms of up to 20 ton capacity, allowing them to do heavy repair work. Some of these units were still in commission at the time of the Gulf War of 1991.